Philips this week announced availability of its 328P6VU display formally introduced about a year ago. The new prosumer-grade P-line monitor brings together an Ultra-HD resolution, enhanced color accuracy, a USB Type-C interconnection with docking capabilities, an integrated 1 GbE controller, and a plethora of various features that are important for professionals in the SOHO (small office/home office) market segment. The Philips Brilliance 328P6VUBREB (328P6VU) is based on a 10-bit VA panel that can reproduce 1.07 billion colors and features a 3840×2160 resolution at 60 Hz. The monitor also supports a 400 nits typical brightness, 600 nits peak brightness, 3000:1 static contrast ratio, 4 ms GtG response time, 178º/178º horizontal/vertical viewing angles, and other features one would expect from a high-quality VA panel. The manufacturer does not disclose whether it uses a 10-bit VA panel, or an 8-bit + FRC VA panel, but claims that the monitor supports a 12-bit internal processing for additional accuracy. Speaking of accuracy, the display is factory calibrated to Delta E < 2 precision, which is typical for prosumer-class LCDs. As for color spaces, the Philips 328P6VU reports to cover 100% of the sRGB, 98% of the DCI-P3, as well as 116% of the NTSC gamuts. Furthermore, Brilliance 328P6VU is DisplayHDR 600-certfied, which means that it also supports HDR10, which is important for those who will use the display for gaming and entertainment. 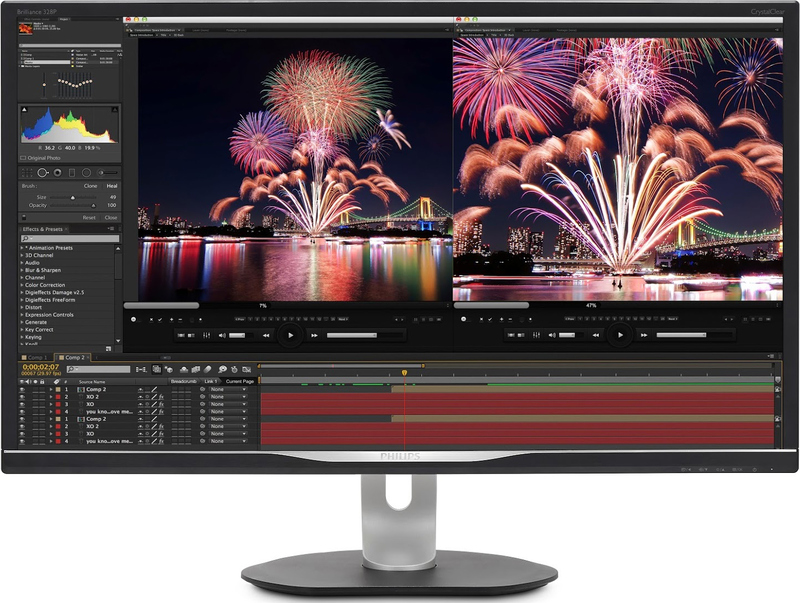 Moving on to connectivity of the Brilliance 328P6VU as this is one of its key selling points. 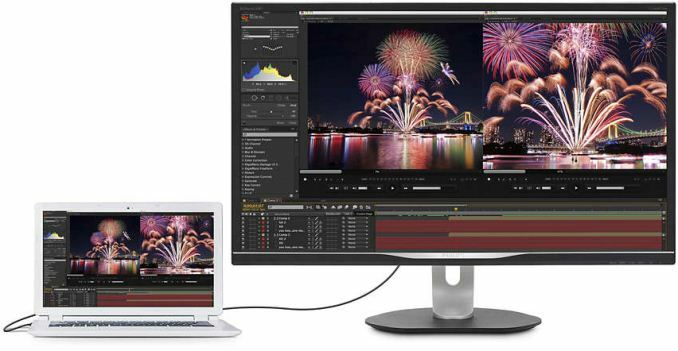 The monitor is outfitted with a DisplayPort 1.4, two HDMI 2.0, and a USB Type-C inputs. The latter fully supports DisplayPort alternate mode for USB-C, serves as an upstream port for four USB 3.0 Type-A headers and a GbE connector, as well as can deliver up to 60 W of power to the laptop, eliminating the need to use a notebook power brick while using the LCD. Furthermore, ultra-thin laptops also get a GbE connectivity because of the integrated docking, something important for corporate clients. Besides, the monitor also has two stereo speakers and a headphone jack. Being aimed at professionals, the Philips Brilliance 328P6VUBREB comes with the same versatile stand as its counterparts from the P6-line. The stand can tilt the display between -5 to 20 degrees, swivel +/- 170 degrees, pivot +/- 90 degrees (i.e., it can be rotated into a vertical orientation), and provide height adjustments of up to 180 mm (7.1 inch). 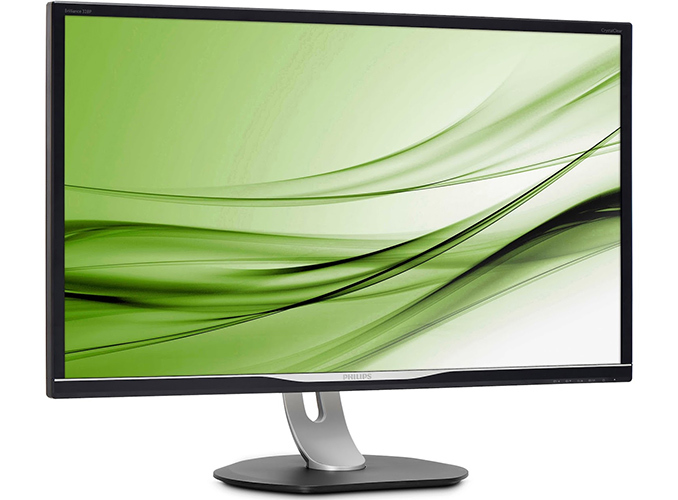 Philips will start selling the Brilliance 328P6VU display in November. 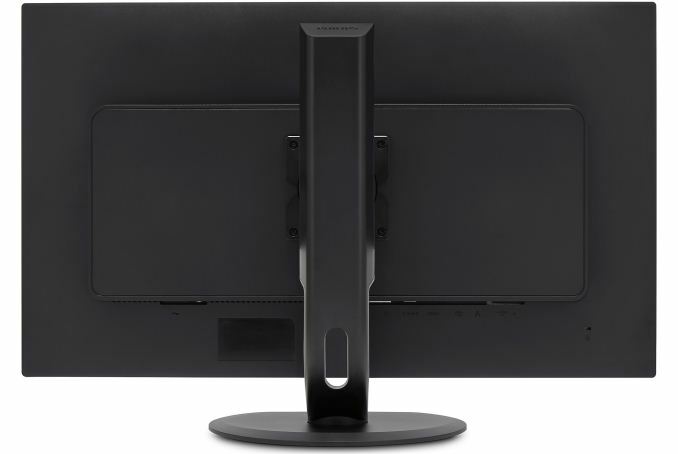 The monitor will cost £559 in the U.K., which translates to €639 in Europe as well as to around $620 in the USA. Philips states that prices and specifications of different Brilliance 328P6-series monitors may vary from country to country. When did overclocking monitors become a thing? Any sane monitor should just reject a refresh rate outside of it's specs outright. >When did overclocking monitors become a thing? Any sane monitor should just reject a refresh rate outside of it's specs outright. Vendors can choose to lock in certain resolution/refresh combinations, but they often do not because its useful to be able to program in custom ones in certain applications and because it doesn't really accomplish much besides annoying customers. >The entire point of a monitor like this is color accuracy, and if you're going outside of its supported specs, all bets are off. Interesting that they claim Gigabit Ethernet and USB 3.0 ports over USB-C DisplayPort 1.2 alternate mode when as far as I know that's completely impossible on a 4k display.